By just looking at Geocentrism I can see some things that are not possible in the universe we live in. For example, Jupiter, when it reaches the sun’s orbit, it stops and changes direction instead of continuing forward with the momentum it gained approaching. Also, Venus in some points in its orbit goes near the Sun, which would’ve meant that it would crash against the Sun because of its gravitational pull. This is one of the few posts–if not the first–that contains no writing at all, and yet with only a GIF we are able to find a relation between two scientific discoveries and their processes: the correction of the solar system model and the discovery of DNA as the genetic material. For starters, Ptolemy’s model stated that the center of the universe was the Earth itself; we now know that this was an erroneous thought, just like thinking that proteins were the most important molecules of genetic inheritance due to the uncertainty of DNA. Actually, both reasons for these thoughts are similar: there was not enough evidence evidence and no way to think that the Earth was not the center of the universe and that proteins were not the genetic material. It made sense to many because the sun and planets seemed to revolve around the Earth while proteins were present in almost every biological aspect. In the end, all of their experiments came to prove them right. For Copernicus’ case, the model of the solar system evolved from this (http://2.bp.blogspot.com/_FXVyEC3CoHo/TTzlCo9xFPI/AAAAAAAAABQ/wx2SoRtD1jw/s1600/Ptolemaic_system_2_%2528PSF%2529.png) to this (http://www.cs.nott.ac.uk/~psxbh/G53GRA/images/solar_system.png). As for the Hershey-Chase duo, their famous bacteria-phage experiment (https://upload.wikimedia.org/wikipedia/commons/thumb/3/32/Hershey_Chase_experiment.png/357px-Hershey_Chase_experiment.png) came to show that the central figure of genetic material was indeed DNA. This way, many conflicts involving these two situations were solved, and the road to new scientific discoveries was paved. P.S. : (http://www.cs.nott.ac.uk/~psxbh/G53GRA/images/solar_system.png) (http://biologypop.com/wp-content/uploads/2014/03/cell_cartoon.jpg) Do these look similar? If so, how? This is one–if not the first–blog post without any text, and yet we can still see a similarity between two scientific processes: the discoveries of the structure of the solar system and the affirmation of the true genetic material. 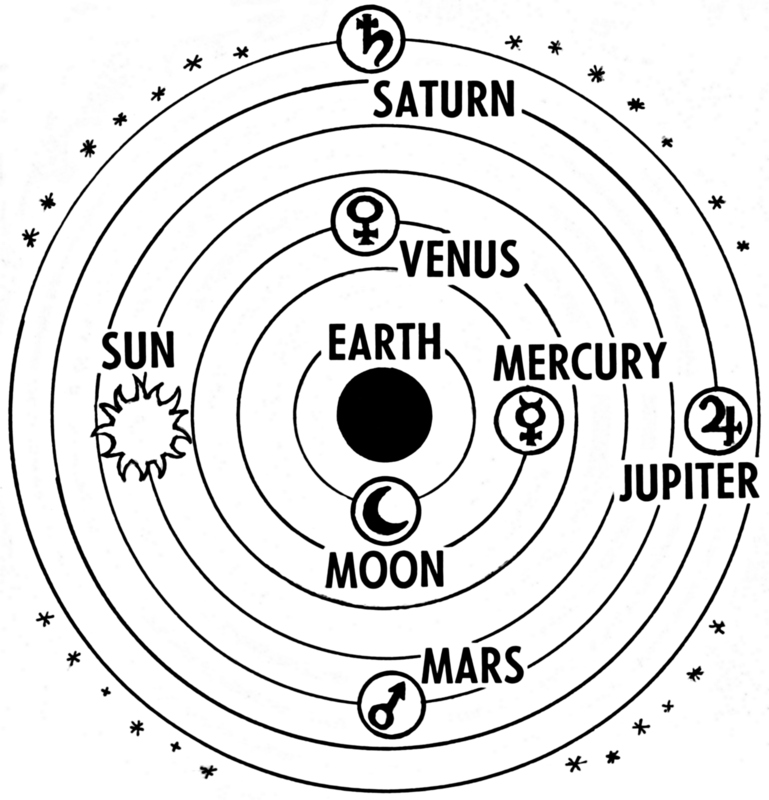 For starters, Ptolemy’s model stated that the Earth was the center of the solar system. We now know that this thought was wrong, just like the thought that proteins were the center of genetic inheritance was wrong. However, people at the time found these ideas easier to believe for a similar reason: there was simply not enough evidence to show that the Earth was not the center of the solar system and that proteins were not the center of genetic inheritance. However, there came three great minds that thought alike. These people believed that these ideas did have a center, but the center that was accepted at the time just did not click for them. And so, as any scientist would do, they performed experiments to disprove their hypotheses (because a true scientist tests against his or her hypotheses). In Copernicus’ case, astronomical observation was used. The Hershey-Chase duo used laboratory procedures. Finally, after much struggle (and perhaps some religious persecution for someone), the experimentation paid off. For Copernicus, his findings helped the solar system model to evolve from this (http://2.bp.blogspot.com/_FXVyEC3CoHo/TTzlCo9xFPI/AAAAAAAAABQ/wx2SoRtD1jw/s1600/Ptolemaic_system_2_%2528PSF%2529.png) to this (http://www.cs.nott.ac.uk/~psxbh/G53GRA/images/solar_system.png). On the other hand, the famous bacterial phage experiment (https://upload.wikimedia.org/wikipedia/commons/thumb/3/32/Hershey_Chase_experiment.png/357px-Hershey_Chase_experiment.png) came to show that the true center of genetic material was indeed DNA. Thus many conflicts involving these two situations were solved, and new roads for scientific discoveries were paved. P.S. : (http://www.cs.nott.ac.uk/~psxbh/G53GRA/images/solar_system.png) (http://biologypop.com/wp-content/uploads/2014/03/cell_cartoon.jpg) Do these concepts look similar? If so, how? I was wrong. It posted the first time. The ancient greek Ptolemy considered the Earth was in the centre of the universe and all the planets (including the sun) was orbiting through Earth (geocentric model). For many years people thought including the Catholic church this was how the planets moved. But, there were people who didn’t believed in this model like the ancient greek Aristarchus of Samos (He was the first person to say that the sun was in the centre of the universe according to NASA). http://www.universetoday.com/36487/difference-between-geocentric-and-heliocentricmodelsofthesolarsystem. Years later, Nicolas Copernicus found out the real way how the universe moved and it is the heliocentric model. The sun is in the centre of the solar system and the planets are orbiting through the sun. At first it was rejected by many people and the Catholic church. But later other scientists had done more research and did proved the heliocentric model is the correct way of the movement of planets. Albert Einstein (20th century) said the heliocentric model is the best way to describe how the Sun, planets and other objects moved. He used the model in his work of gravity. For many centuries, there was the debate of whether our universe was geocentric or heliocentric. The Greek philosophers had established since the beginning that the Earth was in the center and that everything else was surrounded by Earth. In the third century BC, Aristarchus of Samos was the first known person to say that the Sun was in the center of the universe but the idea was rejected and was overruled by the geocentric theory. Many people observed that there were things that didn’t add up and it was until the 15th century that Nicolaus Copernicus published a book and wrote about the heliocentric universe that we live in. This theory, of course, was rejected by the Catholic Church and was against many people. The Catholic Church and science have always been debating like for example when people thought that the Earth was flat when in fact its round. (By the way I read an article where it said that in this century there are many people who still think that the Earth is flat.) In conclusion, there were many theories in the beginning of time that people thought were true but by the years were really false or vice versa and I believe it can still happen to us. With the technology we have now, we’ll be able to answer the questions that we have towards science and find out if we were right or wrong. Throughout history, many great scientists and/or astronomers looked to the sky in order to discover its secrets. One of its secrets was finding out how the Earth moved. Geocentrism (or the Ptolemaic system) is a superseded description of the universe, where the Earth is at the center of all the celestial bodies. The geocentric model, from the late 16th century, onward was gradually superseded by the heliocentric model of Copernicus, Galileo and Kepler. Christian theologians were reluctant to reject a theory that agreed with Bible passages. There was much resistance to the transition between these two theories. Heliocentrism, or heliocentricism, is the astronomical model in which the Earth and planets revolve around the Sun at the center of the Solar System. Both of this theories were founded in order to solve the great mystery. With the observations of William Herschel, Friedrich Bessel, and others, astronomers realized that the sun was not the center of the universe as heliocentrism at the time had supposed. Modern thinking is that there is no specific location that is the center of the universe, per Albert Einstein’s principle of relativity. Since the discovery of these two theories, scientists have debated in which of these both theories applies to our universe. Are we Heliocentric? or are we Geocentric? Geocentricism was a theory presented by Greek philosophers, Aristotle and Ptolemy, and it states that planet Earth was in the center and that the other planets (Mercury, Venus, Mars, Jupiter and Saturn) revolve around us. This theory was such an important part of the Greek culture since they decided to name the days of the week after these planets. As to our universe, we are heliocentric, even though the universe is a hypersphere. Which means that it is a three-dimensional area in a four-dimensional space, so technically, it doesn’t have a “center”. The debate of whether Earth was geocentric or heliocentric lasted many years. The ancient Greeks, for example, considered the Earth to be in the center of it all (geocentric), with planets revolving around it. But not all Greeks believed this. Aristarchus of Samos was the first known person to say that the Sun was in the center of the universe. He proposed this in the third century BCE. The idea never really caught on, and lay dormant for several centuries. It was not until 15th century that Nicolaus Copernicus observations would revolutionize our thinking of the world. He wrote a book explaining how the Sun was in the middle of the solar system, and Earth revolved around it. Many scientists proved that this was the correct way of looking at the planets orbits. How can people not believe certain theories or ideas when they have nothing to compare them to? In 270 B.C., Aristarchus developed the heliocentric theory. This theory stated that Earth and its planets revolved around the sun. But there were many problems with this theory that made people disapprove. An example is: how come we don’t feel the Earth moving? Copernicus wrote about this theory stating that Earth was the third planet from the Sun, indeed, and the Sun was at the center of the universe. This theory lasted a while and right now we might think the universe is heliocentric, but there is no actual proof that the Sun is the center of our universe. Meanwhile geocentrism seemed as a theory that would be more likely accepted at that moment. Ptolemy, the ancient Greek, reviewed and accepted the geocentric theory. This theory stated that Earth was the center of all celestial bodies. Ptolemy created the Ptolemaic system, a system of circles with a set of equations to describe our Solar System and its movements. If we want to have an idea about the nature of science–how science develops, we can it go, and its possible impacts–a good place to start is by reviewing its history, which is the story of how human beings have conquered nature. Greek astronomer Ptolemy used measurements of the sky to develop his geocentric model. This stated that Earth was the center of all planets. This model served as a cosmological system in their ancient civilizations. Heliocentrism, on the other hand, explained how Earth and the other planets revolved around the sun at the center of the solar system. This being the total opposite of geocentrism. Later on, with the observations of William Herschel, Friedrich Bessel, and other astronomers, they realized that this theory was not very accurate since the sun was not at the center of the universe. These two theories were supported back then because people didn’t have much knowledge of how the universe really worked. Both theories then gave inspiration to modern scientist to discover the real explanation which is that we revolve around the sun and that according to the law of universal gravitation all objects are attracted towards each other by the force of gravity. This explains how planets orbit the sun. This debate between heliocentrism and geocentrism has lasted for a long period of time, throughout history astronomers have debated in which way the is correct. Heliocentrism went well with ancient beliefs as it put people in the center of the universe, as ancients civilizations saw that the gods made as a unique creation. Observations as from our point of view the sun appears to be moving through the sky, making it appear as it rotates around us. This theory was eventually proven wrong by observations from emerging astronomers as William Hershel who supported to new observations and experiments that created geocentrism, which stands against everything heliocentrism stands for. Thanks to these main observations made long modern scientists are able to use modern technology to observe the universe with the use of telescopes have contributed to geocentrism. Geocentrism also has the laws of gravity to back it up,presently it is known that rotation is possible by the gravity that the sun exerts on Earth. and other planets. This debate led to what we can now call science. In other words, is important for ideas to compete, for there to be a debate–the same way life requires competition to thrive. There was a constant argument about whether the Earth was heliocentric or geocentric, which lasted a long time. The Greeks believed in geocentrism, but not all of them. For example, in the third century BCE, the astronomer Aristarchus of Samos was the first person to state that the sun was in the center of the universe. This idea was rejected because they believed in the geocentric theory more. It was not until the year 1514, that the idea was explored again. An astronomer called Nicolaus Copernicus proposed that the Earth wasn’t the center of the universe. This idea was widely rejected by the catholic church and the community. But then, years later, many scientists made some investigations proving that the heliocentric theory was the right way to describe how the planets moved. Five hundred years ago, everyone believed that all planets revolved around Earth rather than the universe revolving around the sun. The believe that everything revolves around Earth is called Geocentrism and the theory that the universe revolves around the sun is called Heliocentrism. There was a debate for a long time about which theory was the correct one. People believed in Geocentrism because they asked themselves: if the Earth was spinning, why didn’t objects fly off the Earth? or why didn’t we feel the Earth moving? Aristarchus of Samos was the one that mentioned, in 200 BCE, that the sun centered the universe. Other models of Heliocentrism were proposed around the same time, such as Philolaus “central fire” model. Copernicus wrote about this theory stating that Earth was the third planet from the Sun, surely, and the Sun was at the center of the universe. On the other hand, Ptolemy, the ancient Greek, reviewed and accepted the geocentric theory. This theory stated that Earth was the center of all celestial bodies. Ptolemy created the Ptolemaic system, a system of circles with a set of equations to describe our Solar System and its movements. This both theories you could apply it for when it comes for climate changes or even religious aspects. The heliocentric theory roots for everything orbiting around the sun and the geocentric theory is that everything orbits around the Earth, inferring this both different theories with the same observations. At first people started to believe the geocentric theory since it was mathematically simpler. However, by time adding up more data, the people started to lean towards the heliocentric theory because the geocentric theory was not catching up with all the data. People are more likely to choose either the heliocentric theory or the geocentric according to what they already know or believe in. Heliocentrism is defined as “having or representing the Sun as the center, as in the accepted astronomical model of the solar system.” As opposed to Geocentrism which states that the Earth is at the center and the Sun and other planets revolve around it. While I do believe that Geocentrism is incorrect I can understand where the people who believe in it are coming from. Technically speaking everything is relative, the sun “setting” or “rising” is just in relativity to our position, so you could say that it just depends on how you’re looking at it whether or not Heliocentrism or Geocentrism is correct. However as clearly shown in the GIF provided in this thread, if Geocentrism were true, the different orbits would change because of the gravitational pull of the misplaced planets thus disproving the theory. Geocentricism was a theory presented by Greek philosophers, Aristotle and Ptolemy, and it states that planet Earth was in the center and that the other planets revolve around us. Heliocentrism is the current astronomical model of the universe, in which the sun lies in the center of the universe and our planets revolve around it. The debate of whether Earth was geocentric or heliocentric lasted many years until Nicolaus Copernicus made observations that convinced that sun was in the middle of the solar system, and Earth revolved around it and his observations were proven to be correct by many scientists. Geocentricism was a theory introduced by Greek philosophers and it states that planet Earth was in the center and that the other planets revolve around us. Heliocentrism is the current astronomical model of the universe, which states that the sun lies in the center of the universe and our planets revolve around it. 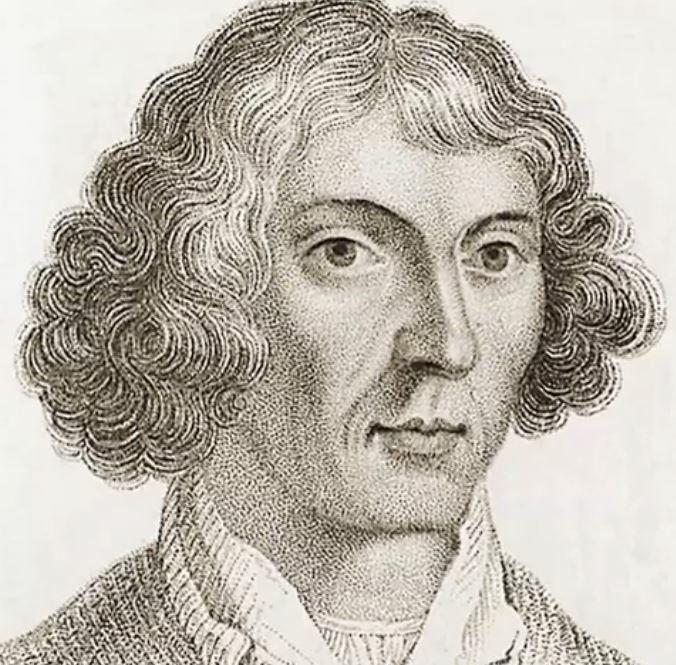 The debate of whether Earth was geocentric or heliocentric lasted many years until Nicolaus Copernicus made observations that convinced that sun was in the middle of the solar system, and Earth revolved around it and his observations were proven to be correct by many scientists. People often struggle to see something in another perspective rather than their own, so it is easy to see ourselves in the center of the universe. Probably the oldest and most persuasive reason for believing that Earth was the center of the universe was common sense based on everyday observations. This idea is called geocentrism and it surged in ancient Greece. This thought was conclusive to many people at that time until Nicolas Copernicus proposed the idea that the sun was the stationary center of the universe in the 17th century. Then, Galileo Galilei saw consistency with what Copernicus said with his microscopes and said that Earth rotated around the sun, Galileo threw his lot in with Copernicus. This view is called heliocentrism. It took many analyzing and effort to get people the facts and supporting diagrams to be sure because it was not easily overturned, it was not wildly accepeted. Back then, people were executed, or even burned at stake for following this ideal. Nowadays, the heliocentric theory is the only one that is approved. Yet it is curious how even today, we speak of the Sun “rising” and “setting” as if it moved rather than Earth. Due to the lack of technology that we have today, people in the past had to reach conclusions by what they observed and thought what was logical to them. Geocentrism is a example of this. It ocurred to ancient greek philosophers that our planet was the center of the universe because they observed how everything in the sky appeared and disappeared in different times ( like the sun at day and the moon at night). Due to this observation, the greek philosophers concluded that everything revolved around our planet. Many people, if not everyone, believed this and when this was contradicted by another observation (heliocentrism: everything revolves around the Sun), people rejected these new ideas and took a long time until they were finally convinced that heliocentrism is true. Geocentrism is the belief that the Earth is the center of the universe. On the other hand, Heliocentrism is that the Sun is the center of the universe. In 1543, Copernicus was the first to outline the heliocentric ideas of the universe and of what we know about today about our universe and sun. When scientists came to the conclusion that the sun was the center of the universe, they realized putting the sun in the center of the universe, made the planets’ orbits much simpler. This conclusion, helped them understand previous misconceptions and problems about their models of the universe. I liked how the simplistic picture of heliocentrism easily explained the retrograde motion of mars.